EUCAP Somalia organised a case-study of a suspected event allegedly occurred in Mogadishu on 26th November, involving illicit burning of oil wastes by a ship anchored off Mogadishu port. The case-study session, entitled Maritime Pollution MARPOL, took place in Mogadishu on December 2nd, hosted by the Mission. Somali officers from INTERPOL, representatives from the Mogadishu Port Authority and the Somali Police Force Maritime Police Unit, participated in the discussions. The aim of the exercise was for EUCAP Somalia Legal, Police and Maritime Advisors, to share information about port multi- agency coordination and responsibility on coast guarding policing functions on this type of incidents and crimes. a review of the role of INTERPOL in connecting Somali with the world using this environmental crime type. 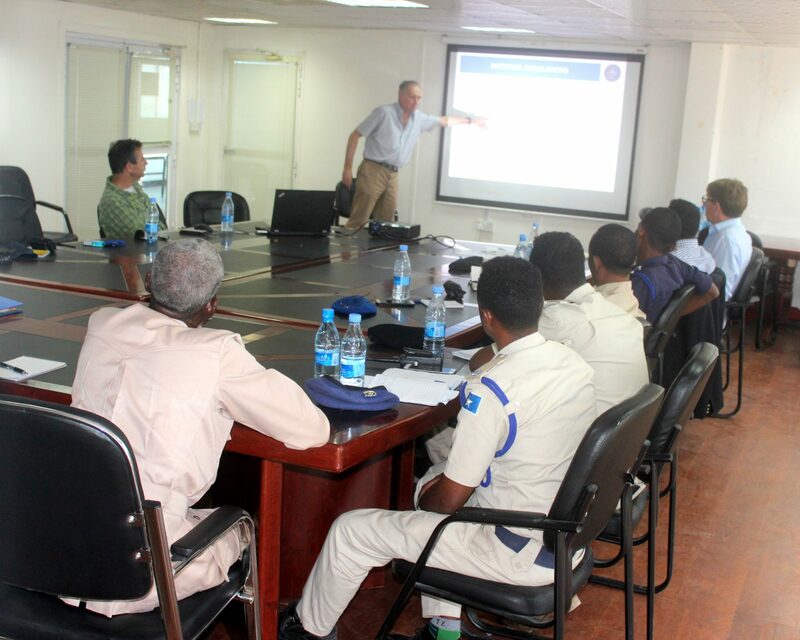 Practical parts of the session involved a review of the suspected incident and the immediate response to the incident using the maritime decision making models internationally in use as best practices and advise the Somali counterparts on all possible impact of this type of incident, as well as the coast guarding /law enforcement response. This type of incident is what has been discussed widely in the International Maritime Security Coordination Committee and the Somali National Security Architecture assessment of strategic threats to the Somali Blue Economy. This links up with comments made by the Somali President Formaajo during a conference of the “Blue Economy” held last November (goobjoog.com/english/countering-illegal-fishing-and-toxic-dumping-key-to-sustainable-blue-economy-president-farmaajo/).